I wasn't going to write about this topic today, but the fact that +Don Caprio of Doncaprio.com had to make a very difficult decision of changing his domain name and moving his blog content from doncaprio.com to his new multi-author blog "geek.ng" simply inspired me to write about this today. Having a good domain name is not an easy thing to come by these days, considering the fact that 80% of the seo relevant domain names that can drive traffic to your blog, has already been taken. So i decided that i can actually suggest a nice domain name for you only if you would order my gig. Sorry about not letting you know what a domain name is. For the benefit of those who still find it difficult to understand the true definition of a domain name, a domain name is simply the name given to a blog/ website. It is more like an identity to that website. In a real life scenario, a domain name pretty looks like the address given to a house. In most cases, the address of that house becomes its unique identity to potential visitors. You know this aids location issues, which helps people correctly address where your house has been built or what street it is situated. Professionally, a domain name is an identification string that defines a realm of administrative autonomy, authority or control on the Internet. Domain names are formed by the rules and procedures of the Domain Name System (DNS). Any name registered in the DNS is a domain name. 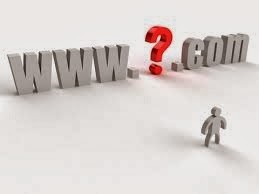 We can have domain names like: techmaga.com , ngbuzz.com, linjust.com, Oscargist.com, 3ptechies.com, eobasi.com, geek.ng ,aha-now.com, bizsuccessguide.com and a host of other names which may even take longer words. Now you have gotten the clear understanding of what i meant by a domain name right? Lets get the conversation started. You can see reasons why you may want to change your domain name. Don had this issues and considered it as one of his major challenges. Imagine having a domain name like: dukeiogo.com and when ever you want people to know about it, you have to spell the name, verify that the name has been correctly spelt and do a lot of dictation to provide a brief description as to what the name was all about. It is very embarrassing and annoying when you try to get your brand to the knowledge of others and they are like: "can you please spell it for me"? Oops! that hurts like a needle passed through your hands. It always seems like: you were not thinking when you gave your blog that name. So if you got issues like this, the best option is for you to implement changes to that name to make it shorter and unique. This you can't run away from. Over the years, i have seen lots of stupid domain names that has no sense in it. Your domain name is your address, and your address has one or two story to tell about your location. If you got it wrong , you got it wrong but if you are right about it, then the sky smiles as your starting point. When choosing a domain name, you should consider things like, "Does this sound professional"? , "How are my peeps gonna enjoy pronouncing these names"? and a lot f it. Choosing a professional domain name has a percentage towards the future of your blog. So stick to one and make it work. Or you can make me your maga, while i choose a domain name for you. Aha! this is one area some smart guys consider before changing their domain names. If you have been hitt by some kind of search engine penalty, either by Yahoo, google etc, then considering making an initial change would do the trick. This is totally painful though, considering the time lost and some other factors, you may not want to do this. But bro! if you are gonna make some money online, and you lack the seo acceleration, then it is gonna be twice as difficult to push your content very far, especially if you lack financial backbone. If you are considering changing your niche as a blogger, then changing your domain name is simply the best step to take. Imagine if you never considered the top 7 things you need to know before setting up a blog as a newbie , and you went into blogging,that naturally becomes your challenge. If your blog has been marked as a blog with a very bad reputation by some spam directory sites, then it is going to have a lot of effects on you. You can't have a blog with little or no reputation. People don't often believe on bloggers who built site and get them to the top by continuous spamming. Although one can have a chance to go higher by practicing the 8 bad but effective ways to drive traffic to a blog without being a victim bad reputation. Conclusion: If you are considering changing the name of your blog, then you must do that quickly. Though the effects of this on your blog is going to reflect on your rankings and seo value, but it is just worth a while and you are done. You still got something to say? then drop it in the comment box below.